2. You have an Evernote account, you want to love it like most of the internet seems to, but the reality is, it doesn’t help you all that much. 3. You love Evernote and are a power-user and you just like to see how other people use it to get some ideas for your own workflow or productivity. Evernote is a Silicon Valley company that officially launched in 2007 but was available to the public in 2008–2009. 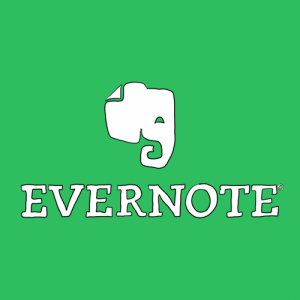 There are 200 million users of Evernote. When did I join Evernote? I created my account in January of 2009 as a beta user. I have started and stopped using it at least 20 times. I have always liked it, but could never make it helpful for me. Evernote is the Swiss army knife of productivity tools and there are many features. Evernote is a note-taking and list making app, organizer of stuff, and place to archive and save stuff. Think of it like a filing cabinet for your brain and digital world that you can access from anywhere in the world. Evernote is all about capturing your ideas and saving digital information whether it be a webpage article or photograph or an email or an inspirational quote or pretty much anything. Evernote is not for backing up your data like Dropbox or Google Drive. Evernote makes virtual copies of everything you upload so you can view it and share it, but it does not store the original files. Take or upload photos and mark them up or add notes, etc. Record voice memo notes by itself or add to an existing note. You download the free app for your Mac or Windows machine. You then download the free Evernote app on your iOS or Android mobile devices such as iPhone and iPad. Create a New Note: When you open Evernote on your phone you will see a green plus symbol and you simply click that and start typing a note or you can record a voice memo just like you would in something like Apple Notes. Inside every Note you can add photos, pdfs, audio, attach files, mark it up with illustrations and annotations and share your notes and so much more. Notebooks: Notes are stored in Notebooks which is how you organize Evernote and everything is synced in real time across your devices. Notes can be notes that you type up or dictate with your voice or than can be stuff you save from the internet or any digital source such as a webpage or files you add into Evernote from your computer. The maximum number of notes you can create is 250. Tags are unlimited. What can you store in Evernote? Just about anything. Put all of your thoughts, ideas, documents, pdfs, web clippings, voice memos into one place and if going paperless is a goal of yours, Evernote is the perfect tool. Capture: When you think of Evernote, just thing of the word capture as it is a repository for everything and in this digital world age of information overload, this tool is designed to give you a place to store and organize everything it so you give your brain and memory a breather . Why has it taken me 10 years to love Evernote? I signed up for Evernote when it first came out. I have always loved the technology and simplicity of it. The design and user-interface is beautiful. It works incredibly well and syncs seamlessly. It’s free or inexpensive which I like. It’s up there with two of my favorites Gmail & Dropbox. I have always loved Evernote, but it never helped me and always felt like I had a giant pile of stuff that I never went back and looked at. I am a less is more person. Evernote was clutter to me and it did not help my workflow or productivity. I saw Evernote as a ‘digital cemetery’. Once stuff went to Evernote, I never saw it again. Tutorials I watched had complicated organization systems that I just did not want to deal with. But, I never deleted or canceled my app because I knew I would figure out a way to use it because it’s a powerful tool. I felt disorganized and could not process all of the information and resources that I read and learn online. My goal is to be a knowledgeable and resource for people who need help. I need to have a system to remember tools and resources to teach people and refer them to. Bottom line: is I was overthinking how to organize and use Evernote for many years and I just could not figure out how to make it work for me, but once I figured out a system that is really simple and will help me save the massive amount of material I am constantly processing in my head, I had an a-ha moment. I already knew the app and technology was simple and amazing, but when I realized just how helpful I could make it for my business and personal life, I decided to go all in and make it my new digital brain and filing cabinet. The power of Evernote is in Search and Tags and not in creating an elaborate Notebook system to organize your notes. Everything is searchable in Evernote and in fact it is kind of mind-boggling how good it is. It’s Gmail good. In my personal notebook: I save scans of every important document such as passports, health insurance cards, passport, library card a list of everything in my wallet with phone numbers of each credit card so if my wallet was ever lost or stolen it would be really easy to remember what I lost and replace. Everything including memories or anything I want to save. I use Evernote to research topics and curate content. If I take a good tutorial on After Effects I save it or if I download a good PDF or cheatsheet. I have saved all of my affiliate links and web services I use and resources I frequently recommend and use. Pretty much everything that I use frequently or have memorized or new stuff that I think will be important to know I am trying to dump off into Evernote to just give me peace of mind. I have notes for podcast, tutorial and content ideas. I have never done this and it stresses me out to not have a library of topics to pull from. I spent a few hours and just cleaned house and deleted 10 years of saved documents and resources that I no longer needed. .I kept only the essentials and placed them all in one notebook called Inbox. I deleted all the old notebooks and tags so I could start new. I have one Notebook called Inbox. This is my default notebook where everything gets saved to and this is a fairly common best practice for power. My Evernote Inbox will be temporary storage and I will try to keep it empty except for things I need to review or tag or add notes to. I view the Inbox as my to-do list. Stacks: A group of notebooks. Evernote is free to join and paid plans are available for upgrade which you will likely do once you start using Evernote on a regular basis. Evernote works on iOS, Android, Windows or Mac. Evernote is for creating notes and storing, organizing and archiving digital information and documents in a variety of formats. Evernote is not a backup system for files, it creates virtual copies of everything that you can view or share. The power of Evernote is in its search capabilities and tag. Everything is searchable so rather than trying to come up with the perfect folder system, keep it simple and use search and tags to find stuff. I use Evernote to save personal and business documents, to keep track of resources and tech stuff and to capture thoughts, ideas, topics and to write content such as articles and class outlines and notes.